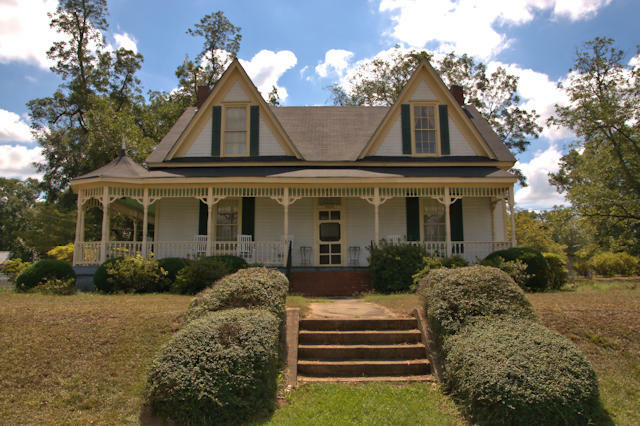 Asymmetrical windows on the front of the house suggest that the left side likely began as a much smaller house, perhaps a log cabin. 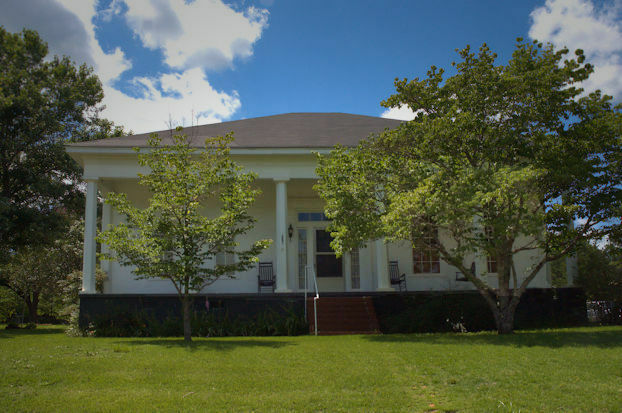 The vernacular octagonal Doric columns also suggest an early origin, likely 1830s or early 1840s. Adjacent to this property is a small graveyard known as Thompson Cemetery. It’s possible that this was the family cemetery of the builder of this house. John C. Thompson (1814-1889) could very well have been the builder. 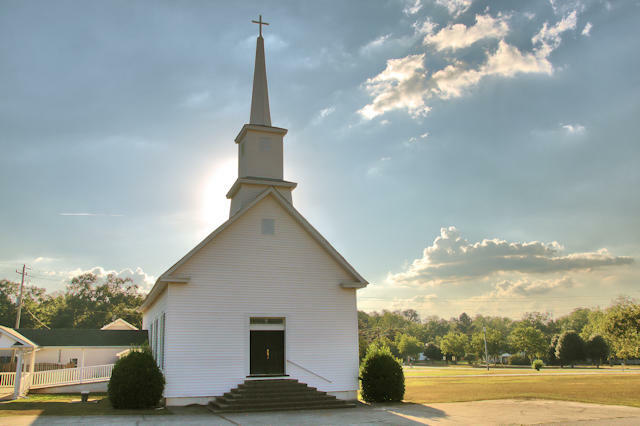 Salem Church, which was the forerunner to Concord Methodist, was established in 1850, about a mile west of present-day Concord. 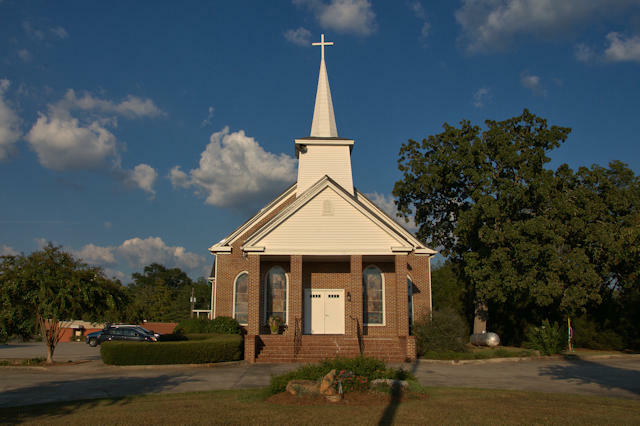 With the coming of the Georgia Midland Railway in 1887, the town grew and the decision was made to relocate the congregation. This church was built in 1888 and remains a small but active congregation. 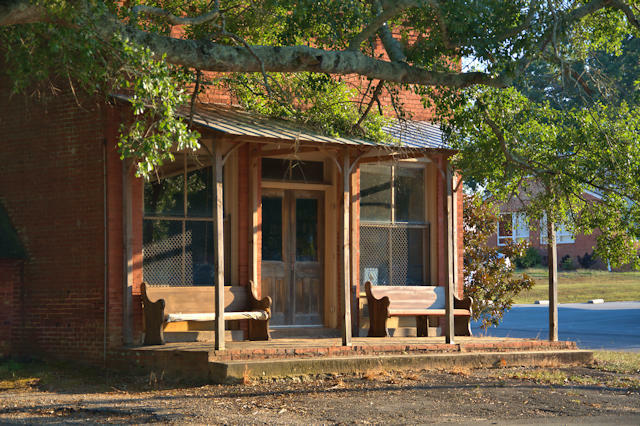 This old drug store has likely been closed for years, but the benches on the front look like they’re still used from time to time. The only pharmacist I can locate in early-20th-century Concord is R. A. Mallory, who was also a doctor. This may have been his drug store. Dr. Mallory’s mother was the sister of Governor William Yates Atkinson. Isaac Strickland, who settled in the Concord area in the 1830s, was operating a general store here by the 1840s. Strickland had seven sons and three daughters. 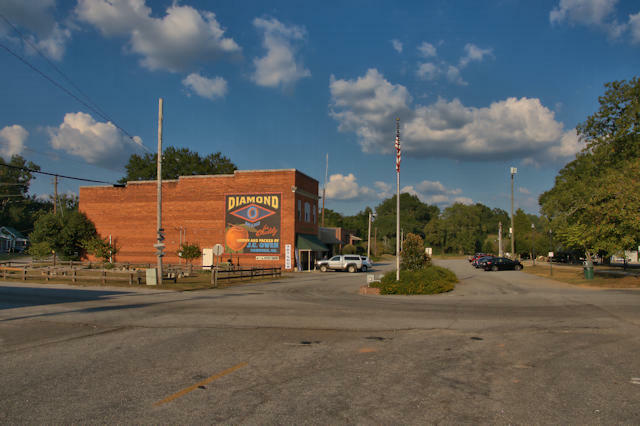 By 1906, seven of Strickland’s sons were operating a store and overseeing an agricultural and real estate operation entailing several thousand acres of farmland. By the time this structure was built by the Gresham Manufacturing Company in 1907, the family was managing over 30,000 acres of land, including at least 300 tenant farms. 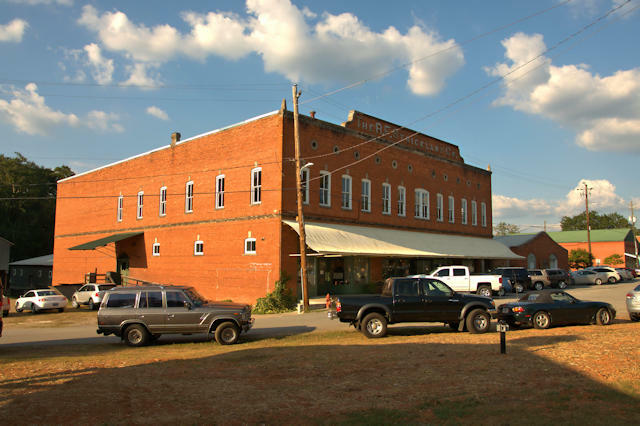 The Strickland Company dominated all forms of agribusiness in the area, as well as a general store, and banking. The second floor of Strickland’s was home to the local telephone exchange for a time, as well. 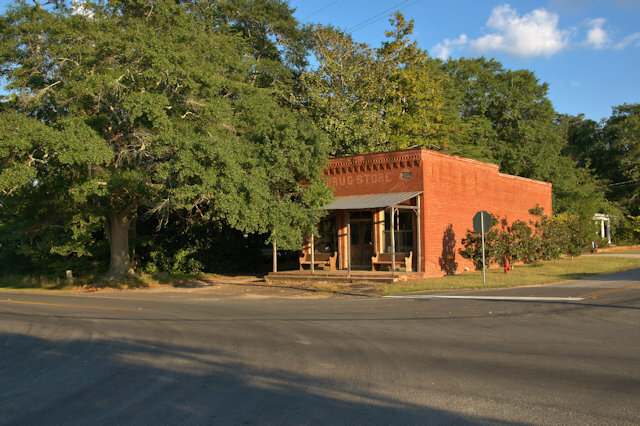 By the 1960s, many of these businesses were no longer viable, but the store remained open until at least the 1980s. 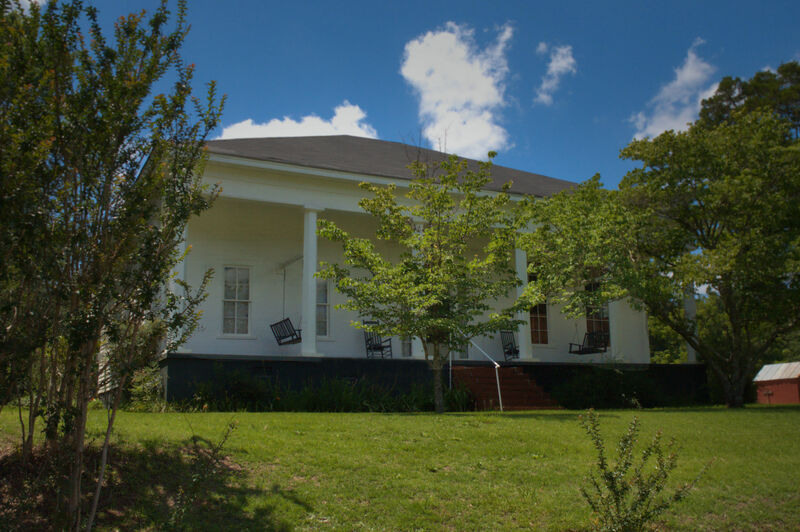 Today, the Strickland building is home to Slow Exposures: A Juried Exhibition Celebrating Photography of the Rural South. It’s an innovative project which brings together artists from all over the country.